Wooden racks are always pleasing to the eye, elegant and offer a neat presentation to the customer. Therefore these racks are popularly used for stacking clothes that need special attention or need to be stored and displayed in style. 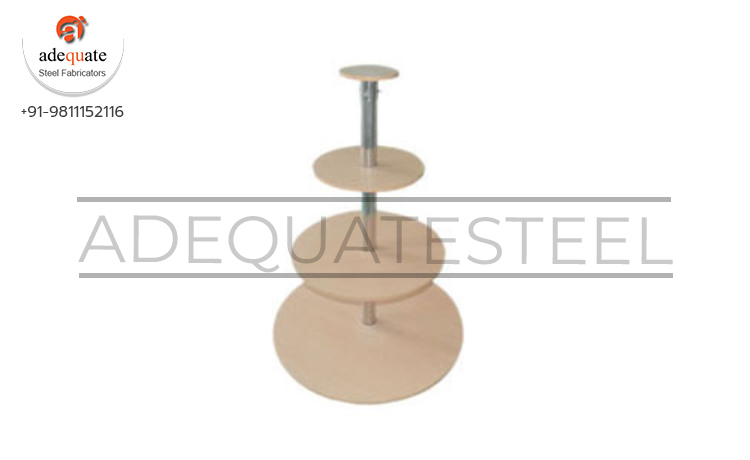 Textile round wooden racks from Adequate Steel offers sturdiness and reliability which is the key to any racking solution. The construction is perfect to suit any textile showroom. The racks come in diameters of 300 mm, 600 mm, 900 mm and 1200 mm respectively. A strong and sturdy steel rod holds the racks together. The height of the racks is variable as it is offered at 1200 mm and 1500 mm. The best suited for a specific showroom can be chosen. The wooden textile round rack is particularly popular for displaying clothes and garments that are on special offers or discount sales. In addition to the textile round wooden racks, Adequate Steel also offers textile hanger straight display units, textile hanger inclined display units, textile rack center gondola, textile rack wall gondolas without base, textile rack wall gondolas with base textile rack center gondolas, personal care shelves and textile inclined holders.